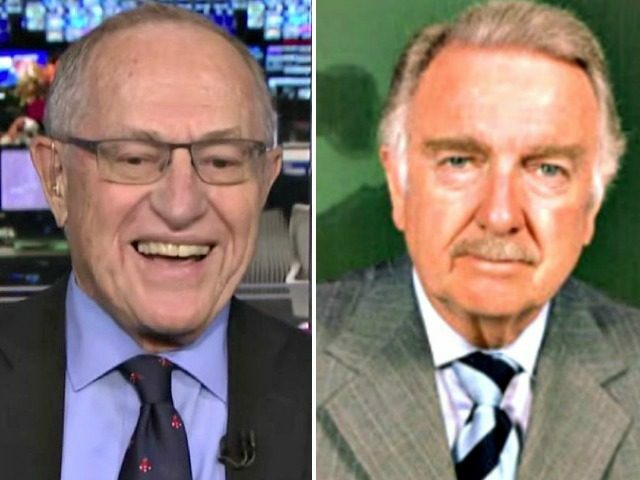 Harvard Law School Professor Emeritus Alan Dershowitz said in a Wednesday interview on C-SPAN’s Washington Journal that CNN — which he described as an “anti-Trump network,” alongside MSNBC — no longer invites him as a guest following his repeated statements in opposition to Democrat calls for impeaching President Donald Trump. More and more I’m getting called on only by people who misunderstand and think I’m pro-Trump. I’m not pro-Trump, but it’s been harder for me to get on anti-Trump networks – not that I’m craving to be on television all the time. I have a good life, but it has had an impact on which channels seek my services more often, and that’s changed. I used to be, for example, on CNN more often than on Fox. I was a regular — not paid — but just a person who was on all the time debating with [Jeffrey Toobin]; debating with others. I haven’t been on CNN, now, since the summer, and Fox calls me all the time. I’d love to be available to people who watch all channels and I try to write op-eds widely for different newspapers and different media. If I had written a case against impeaching Hillary Clinton — if Hillary Clinton had been president — they’d have built a statue to me on Martha’s Vineyard, but instead, my friends on Martha’s Vineyard need trigger warnings. They don’t want to be seen in the same room as me, because my book has been The Case Against Impeaching Donald Trump. There are many reasons I wish Hillary Clinton had been elected president, one of which is, I would’ve kept many more friends if I had written the book The Case Against Impeaching Hillary Clinton, but I want to emphasize, it would’ve been essentially the same book. It’s a tragedy that the media have become so divided. Today there are Trump channels and anti-Trump channels. You want to get the anti-Trump news? You turn to CNN and CNBC. You want to get the pro-Trump news? You go to Fox. Walter Kronkites are no longer on the major television shows that are watched. Everybody trusted Walter Kronkite, and I’m told that Walter Kronkite didn’t even vote, because he didn’t want partisanship to intrude on his objectivity. Today we have silos, not only on television but in newspapers, as well. It’s really a terrible tragedy. We need a return to objective neutral principles of law [and] reporting. I think the leaders of the Democratic Party don’t want to see their majority status in the House frittered away by an impeachment that will fail, but there are radical elements within the Democratic Party that are pushing the leaders, and of course Pelosi is running for Speaker of the House, and so, at this point in time, I think she doesn’t want to alienate members of the Democratic Caucus, but I suspect once she’s elected she will come out strongly against using their power to impeach rather than do the good things.